AP EAMCET Hall Ticket 2019 has been released from 16th April 2019. 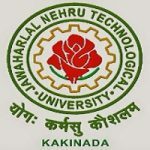 Jawaharlal Nehru Technological University Kakinada (JNTUK) is the main authority which organizes a state level entrance test. This test is called as AP EAMCET (Engineering, Agriculture and Medical Common Entrance Test). It is organized for providing admission to the engineering, pharmacy & agriculture courses. In this article, we have updated details about AP EAMCET 2019 Hall Ticket. AP EAMCET 2019 Hall Ticket has been released from 16th April 2019. Click here to get hall ticket. Candidates can get AP EAMCET 2019 admit card only through online mode from the website. There is no other mode to get it. It will be available on 16th April 2019 before a few days of the examination. Candidates can get it by entering their registration number, Payment Reference ID, Qualifying Examination Hall Ticket No, Mobile Number & date of birth. The authority will organize the examination on 20th to 23rd April 2019 (Engineering) and 23rd & 24th April 2019 (Agriculture). The exam will be organized through online mode. Candidates can download their AP EAMCET admit card 2019 from 16th April 2019. It has been issued only through online mode. No other mode is applicable to get the admit card. After a few days of the examination, the result will be declared by the authority on 1st May 2019. AP EAMCET 2020 exam is organized every year by the Jawaharlal Nehru Technological University, Kakinada. It is a state level exam conducted to offer admission in UG courses in the field of engineering, pharmacy, agriculture, etc. Eligible candidates can fill the application form from the second week of February 2020. Visit to the official website (Link is provided above). Click on the “Download Hall Ticket” link. Now, fill your “Registration Number”, “Qualifying Examination Hall Ticket No.” & “Date of Birth” in a given space. Then, click on download hall ticket button. It will be displayed on the computer screen. Take a print copy of it for future use. Candidates have to bring hall ticket along with filled application form with duly affixed colored photograph attested by the Gazetted Officer (or) Principal of the College (where candidates have studied the qualifying exam). Candidate’s signature & left hand thumb impression will be filled in the given space in the presence of invigilator only. Candidates should arrive at the examination hall before 2 hours of the examination. Don’t carry any textual material, DocuPen, mobile phone, calculators, log table, electronic watches, slide rules, bits of papers, printed or written material, pager or any other device. Candidates should check their hall ticket carefully for name, gender, date of birth, test center name, date & time of exam, etc. Candidates, who don’t possess the admit card will not be permitted to enter the examination center. For each candidate, a seat indicating admit card number will be allocated. Candidate has to find out & seated in their allotted seat only. If candidate found to have changed room or seat other than allotted, then their candidature will be cancelled. Candidates should ensure their question paper language, i.e. available on the computer in English & Telugu language only. If you have any query about AP EAMCET Hall Ticket 2019, you can ask us your query below in the comment box. Check it through your gmail ID. sir i forgot my registration id.please tell me how to get my eamcet hall ticket without registration number.otherwise registration number? It is released, the link is given in our article. Sir, I forgot application number. How can i download the application. Pl tell me. Thank you. You can’t download it now. It will be included in your admit card. sir i cant download my hallticket..
Is eamcet hall tickets released? When was the Hall ticket download date..?? Where are the hall tickets !!? Link does not opening why.???? Try again it is working. At what time hall ticket release today? Why didnt hall tickets still release?? When will we get the Hall tickets? Hal tickets are available. You can download now. It is released on 18th April. Get AP EAMCET hall ticket from this link. The link is given in our article. What all particulars to be carried into the examination hall for the non residents of andhrapradesh? In which link we will get admit card. When will the application forms held?